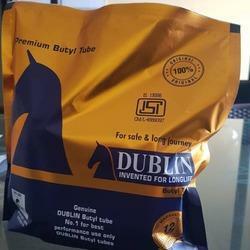 Offering you a complete choice of products which include bike butyl tube, motorcycle butyl tube, scooter butyl tube and two wheeler butyl tube. 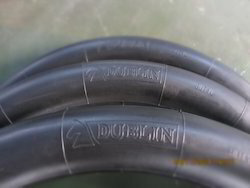 We are established in the industry for manufacturing an extensive range of Bike Butyl Tube. Precisely manufacture under the vigilance of our adept professionals, using the supreme quality nickel material and sophisticated technology. Apart from this, the offered tubes are stringently inspected by our quality controllers on diverse quality parameters to stand tall on patron’s expectations. The provided tubes are widely used in varied automobile and other industries for varied applications. To meet divergent demands of the clients in an efficient manner, we bring forth an exclusive range of Motorcycle Butyl Tube. 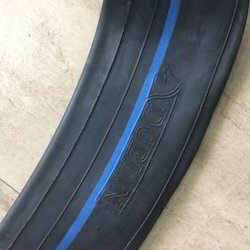 The provide tubes are compatible with motorcycles are extensively demanded in the market owing to features like great thickness, high durability, and optimum grip. These are designed by using superior quality material and sophisticated technology which is in line with the industry laid standards. Customers can avail these from us at nominal rates. With our expertise and immense knowledge in the field; we are providing a comprehensive array of Scooter Butyl Tube. Automobile industry extensively demands these tubes for use in two wheelers. Our offered tubes are highly acknowledged in the market due to its high air retention, high strength, and tear resistance. Our product goes through the stringent quality to meet the guidelines laid by the industry. Besides, we provide this product at industry leading price. Keeping in mind the ever-evolving requirements of our valuable clients, we are offering an exclusive range of Two Wheeler Butyl Tube. Widely demanded by automobile industry; the given tubes are available with us in different sizes and materials. Made using premium quality rubber obtained from the reliable vendors of the industry; these tubes ensure excellent resistance against scrape. Besides, clients can avail these from us at affordable rates and get it delivered at the earliest.